25 Nepean Hwy, Mentone, 3194. 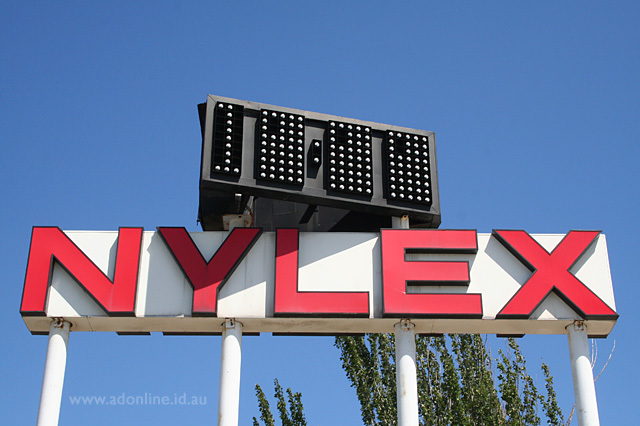 Many Melburnians are familiar with the iconic Nylex Clock in Richmond (Cremorne), but there is another Nylex Clock located outside the former Nylex factory in Mentone. In 1944, the Nylex Plastics Company purchased 18 acres of land from the Brigidine Order of the Catholic Church in the outer suburb of Mentone upon which a factory was established. The parcel of land was expanded by another 17 acres with a second purchase in 1952. In 1967, Nylex Plastics erected a replica of the famous Nylex Clock in front of their factory. Unlike the Richmond version, the Mentone Nylex Clock features no neon, instead utilising incandescent light globes to display the time and temperature and red acrylic light-box lettering which spells "NYLEX". 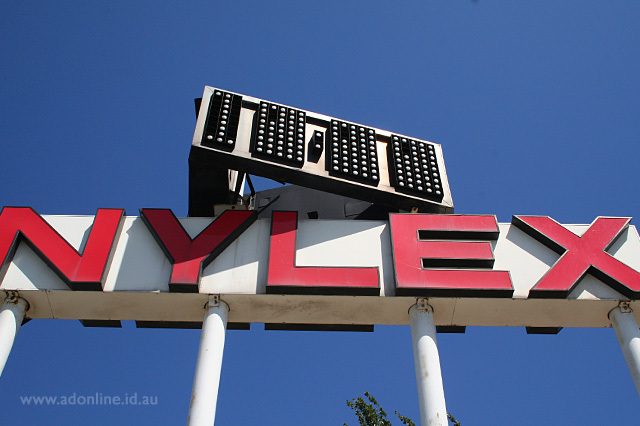 In 2006, Nylex closed their Mentone factory and the buildings were demolished, with plans to establish a bulky-goods store on the site. The iconic Nylex Clock sign has been given statutory protection under the Kingston Planning Scheme. In September 2006, the Heritage Council of Victoria provided a $20,000 grant to have the sign restored to working order, but owing to delays in the redevelopment of the land, this money has not been utilised and the sign remains unlit. Bryce Raworth Pty Ltd (2001) City of Kingston Place Identification Form, City of Kingston website. Hulls, R. (2006) Mordialloc and Mentone to be even more livable. Minister for Planning Press Release, 19 September. Whitehead, G. (2007) Nylex and Mentone. City of Kingston Historical Website. Wray-McCann, J. (2009) Time Ticks for iconic Mentone Nylex Clock, Mordialloc-Chelsea Leader, 8 May.